Prevents the reappearance of new cutaneous hyperpigmentations, improves skin tone and enhances skin elasticity. 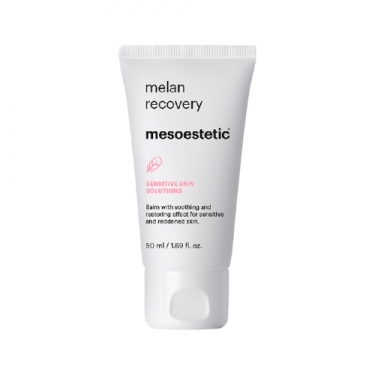 DESCRIPTION: Melan Recovery from Mesoestetic is an intensive treatment that fights the reactive manifestations related to the irritation and the redness, providing a sensation of immediate relief. It reduces skin sensitivity and enhances skin defenses against external aggression or after medical-aesthetic treatments. 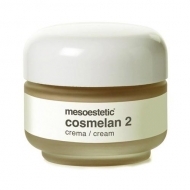 Rebalances the skin barrier providing comfort, elasticity and smoothness to the skin. Rich texture of comfortable extensibility and quick absorption that immediately relieves the sensation of pulling. 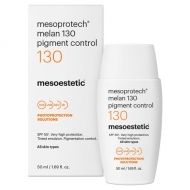 It is then recommended to apply a broad-spectrum sunscreen product such as Mesoprotech Melan 130+.